Welcome to the tutorial about task lists in SAP. This tutorial is part of our free SAP PP course. In general, SAP task list contains a standardized sequence of work, operation or activities. SAP task list is used in different modules of SAP: Plant Maintenance (PM), Production Planning (PP), Quality Management (QM), and Project System (PS). In PP and PM modules, SAP task list contains general information like operation details, component required for an operation/activity, etc. In Plant Maintenance, the following SAP PM task lists are available. General maintenance task list (A) describe a sequence of individual maintenance activities which must be performed repeatedly within a company. Equipment task list will be used in SAP PM Orders which are created for an equipment and similarly functional location task list will be used in PM orders created for functional location. 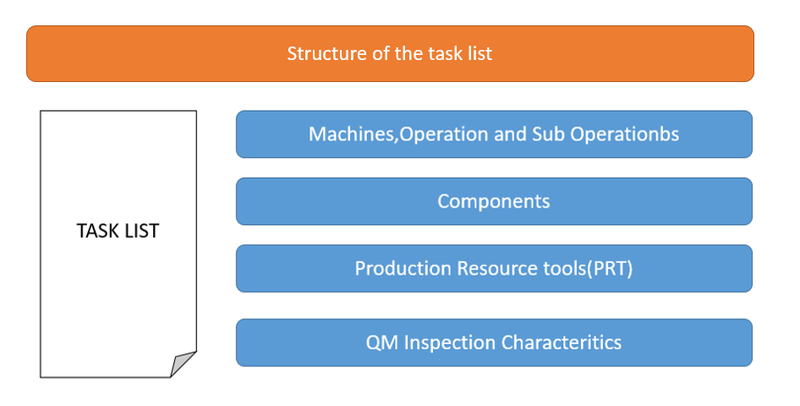 In Quality Management, task list is called Inspection Plan and it contains characteristics that are to be inspected for each inspection operation and test equipment to be used during inspection. In Production Planning, SAP task lists are categorized into different types and each of them used in different production process. 1 Routing N Routing is most widely used in discrete manufacturing process. 2 Rate routing R Routing is most widely used in repetitive manufacturing process. 3 Master recipe 2 Routing is most widely used in process industries manufacturing process. 4 Reference operation set S This is used as a temple to create routing. 5 Reference rate routing M This is used as a temple to create rate routing. 6 Rough cut planning profile 3 This used in sales and operation planning for capacity and resource availability check. In Project System, SAP task list is known as a standard network will be used as a template when creating other standard networks or operative networks. Here is a list of transaction codes that are used for creation of different types of SAP task lists. SAP task lists are copied to transactional data (e.g., orders) when creating it. For example, when we create a production order for a material, SAP task list type N (Routing) will be copied and values are calculated according to the production order quantity. Similarly, when an inspection lot is created, a relevant inspection plan will be copied. Which task list has to be copied for each transactional data is defined in SAP customizing. For example, here are the setting for creating a production order of a particular order type. 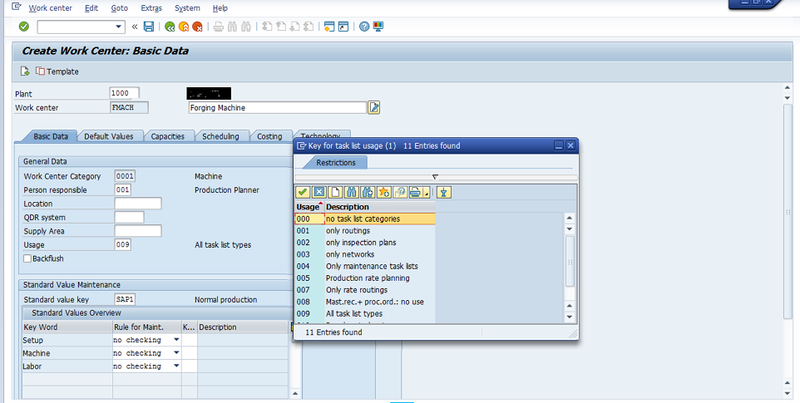 When creating machines/resources in SAP, a task list usage can be assigned. This ensures that a particular work center or machine will only be used in task lists corresponding to this usage. For example, work centers created for maintenance purposes cannot be used for production purposes. As shown on the screenshot above, if usage 001 is assigned to this particular work center, then it can be only used in PP routings and cannot be used for PM or QM task lists. Similarly, usage 009 can be used for all type of task lists. SAP uses information from task lists to calculate capacity, schedule and costing of work, activities or machines. 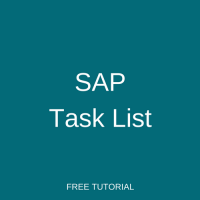 Every activity, work item or instruction in SAP task list is linked with a control key which defines calculation that needs to be done against this activity/operation (i.e., capacity, scheduling, costing, etc.). When control key PM01 is assigned to a particular operation, this operation becomes relevant for scheduling, capacity requirement calculation and costing. Similarly, when control key QM01 is specified, SAP system will not calculate schedule, capacity and costing but will expect QM inspection characteristics against the operation. That is, inspection characteristics are required to be assigned against the operation. Is a SAP task list the equivalent of a Standard Job in Ellipse? Can a network task list can be called in refurbishment order .